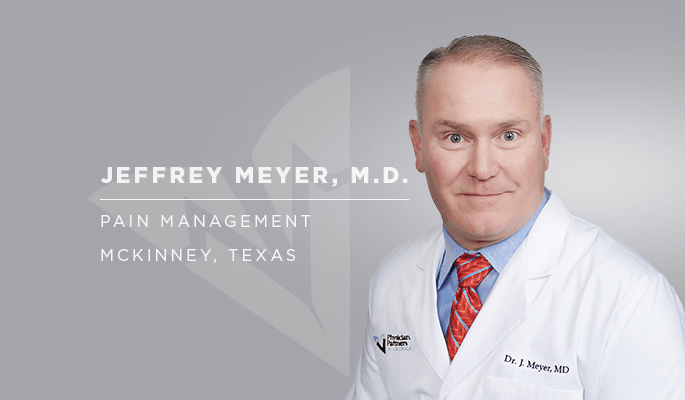 Physician Partners of America Pain Relief Group is pleased to announce that Jeffrey Meyer, M.D., a board-certified Pain Management physician, has joined its McKinney practice, 2730 Virginia Parkway, Suite #300 as of Dec. 4. 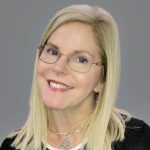 Dr. Meyer is highly experienced in the use of spinal cord stimulators as well as many other interventional and minimally invasive pain management techniques. He earned his medical degree from the University of Oklahoma Health Sciences Center in Oklahoma City, and completed an internship at the University of Texas Southwestern Medical Center Dallas and Baylor University Medical Center. He completed his residency in anesthesiology and Pain Management at Parkland Health and Hospital System, Southwestern Medical Center in Dallas and a Pain Management fellowship at Texas Tech Health Sciences Center in Lubbock, Texas. He has more than 12 years’ experience in helping patients manage their pain in private practices in Texas, Oklahoma and Nebraska. He most recently worked at the Minimally Invasive Spine Institute in Dallas, the Heartland Pain Clinics in Grand Island, Neb., and Midwest Pain Consultants, P.C. in Del City, Okla.
Dr. Meyer is a member of the American Society of Interventional Pain Physicians, World Institute of Pain, Oklahoma Pain Society, the Texas Pain Society, Texas Medical Association and the Dallas County Medical Association.